LinkedIn Publishing to Add More Local Languages: LinkedIn’s publishing platform will soon be available to non-English speaking audiences. LinkedIn has just made the platform available for Portuguese-speaking audiences and has plans to make the platform available in German and French in the coming months. Facebook Adds New Communications Features for Pages: Facebook Page managers now have some new tools for direct communication with their fans. One of the new tools is the “Send Message” call-to-action in local awareness ads, which invites people to privately message a brand. Page managers will not only receive these messages but will receive information regarding which ad the message was in response to. Page managers will soon have the option to respond to public comments privately if the matter warrants. 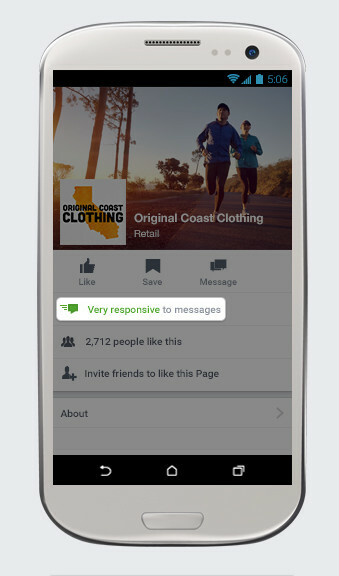 Brands that are responsive to at least 90% of messages and with a median response time of five minutes, will receive a “‘Very responsive to messages’ badge on their profiles.” Finally, Page admins will be able to create and save responses to commonly asked questions to simplify and speed up responses. Twitter Launches Ads Editor: Twitter’s newly released ads editor is intended to help brands that are running multiple ad campaigns. The tool utilizes Excel to simplify the process of making changes to multiple campaigns and/or adding new campaigns. Currently, ads editor is only available for a select group of advertisers but will become available to all Twitter advertisers in the coming weeks. Facebook Live Streaming Available for Mention Users: Facebook users who are on Mentions can now share live streaming video. Some speculate the feature is meant to challenge live-streaming services Periscope and Meerkat. Instagram Scheduling Now Available on HootSuite: HootSuite users can now schedule Instagram posts from their dashboards. There is a catch, however, in that the post publishing process must be completed on a mobile device. All other HootSuite functions such as monitoring and creating team assignments can still be managed from the dashboard.